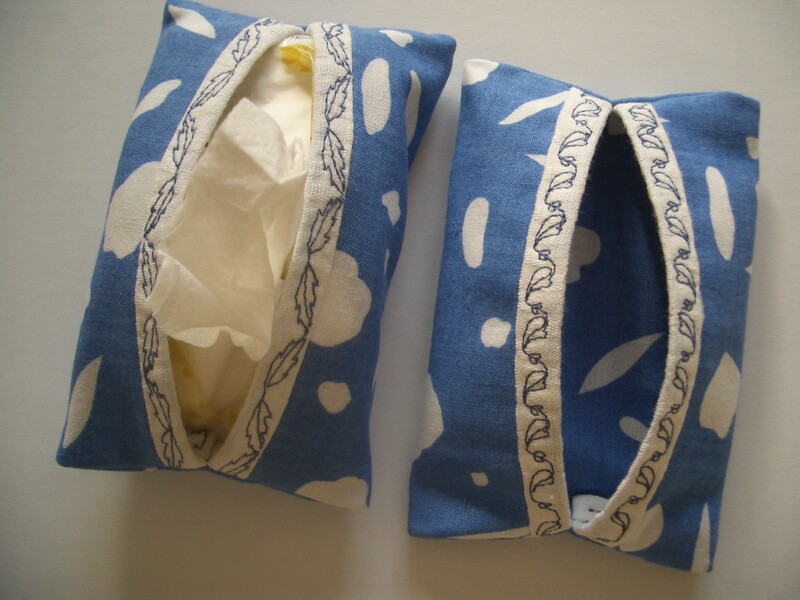 A perfect little gift that can be made from scraps of dress fabric. Finished size approx. 5.2″ x 3″ (13cm x 7.5cm), to suit a standard pack of pocket tissues. This makes a neat, double thickness tissue holder with no raw edges on the inside. Take a piece of A4 paper and cut a strip off a long edge to leave it 6″ x 11.7″ (152 x 297mm). If you only have US legal paper to hand, you’ll have to cut strips off both a long and a short edge. Use the paper template to cut a rectangle of the same size from a plain coloured fabric – cotton dress fabric or craft fabric is ideal. 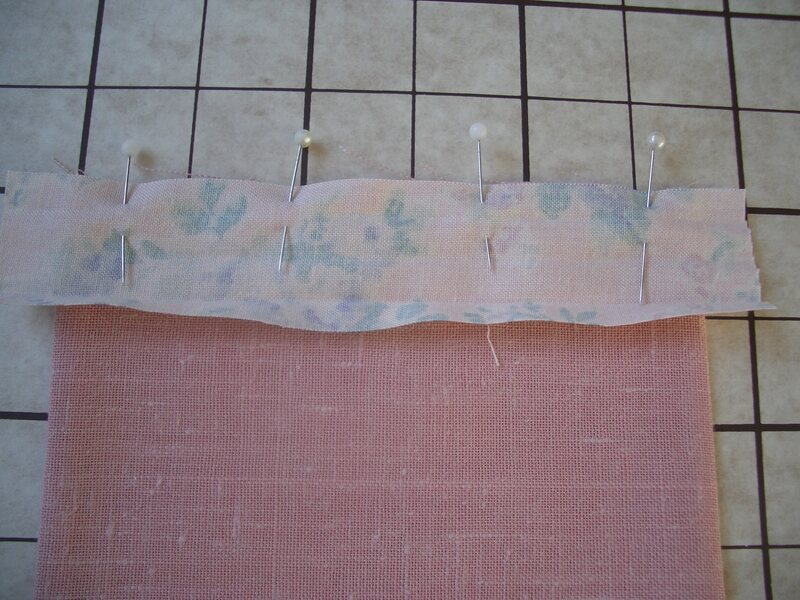 Fold the fabric, right sides in and short edges together. 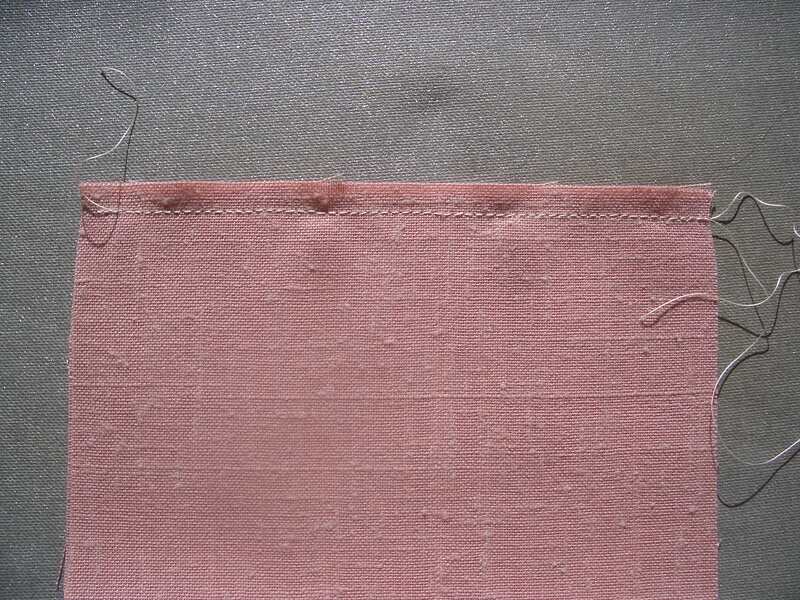 Sew the short edges in a ¼” (6mm) seam. 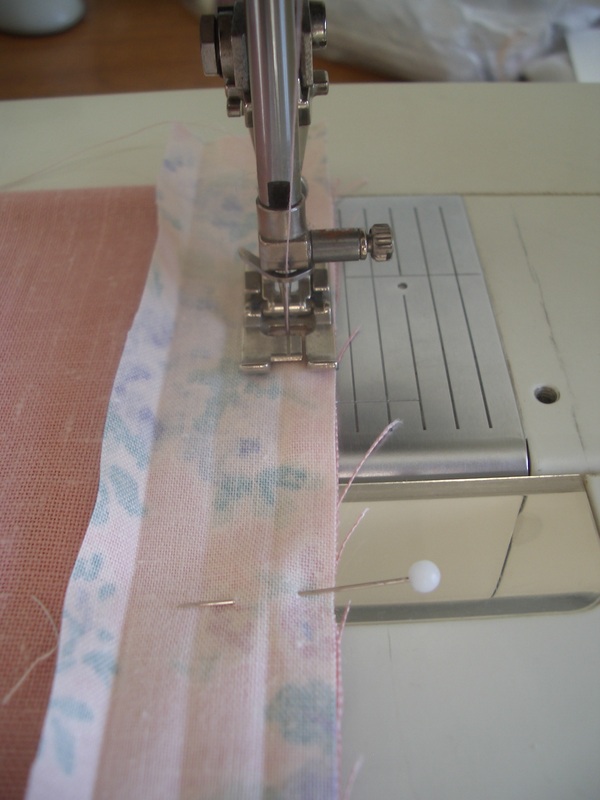 Press the seam open, turn the fabric right sides out and press again. 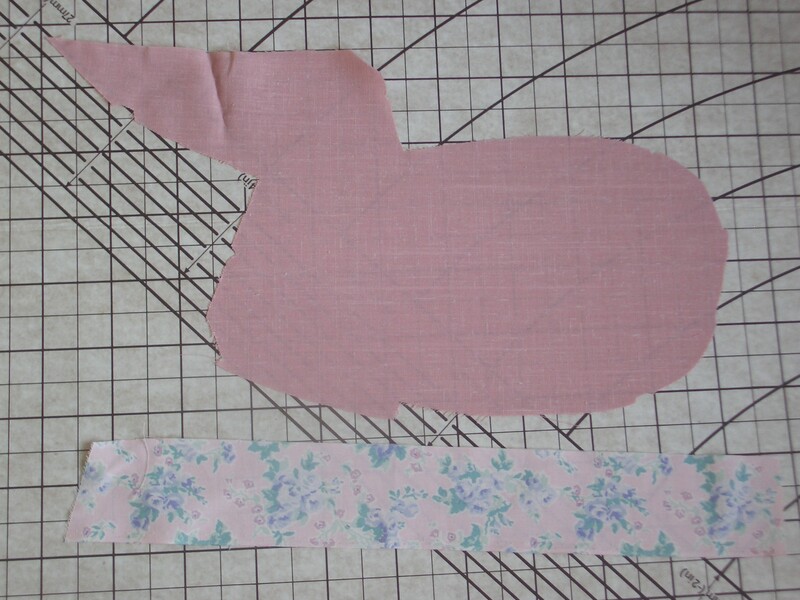 Cut a 13″ (33cm) strip 1.4″ (36mm) wide from a complementary, patterned fabric (it doesn’t need to be cut on the bias). 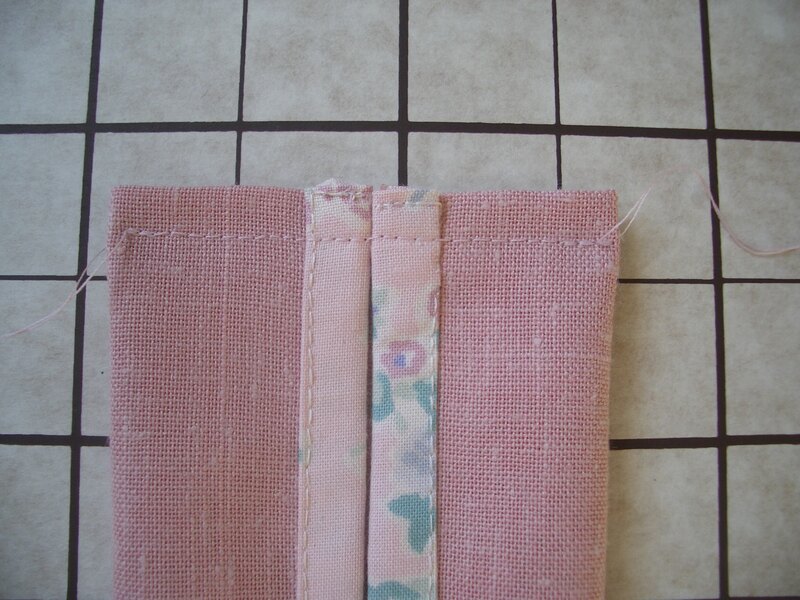 If you have a tool to make ¾” (18mm) wide binding like the one in the photo, use that. 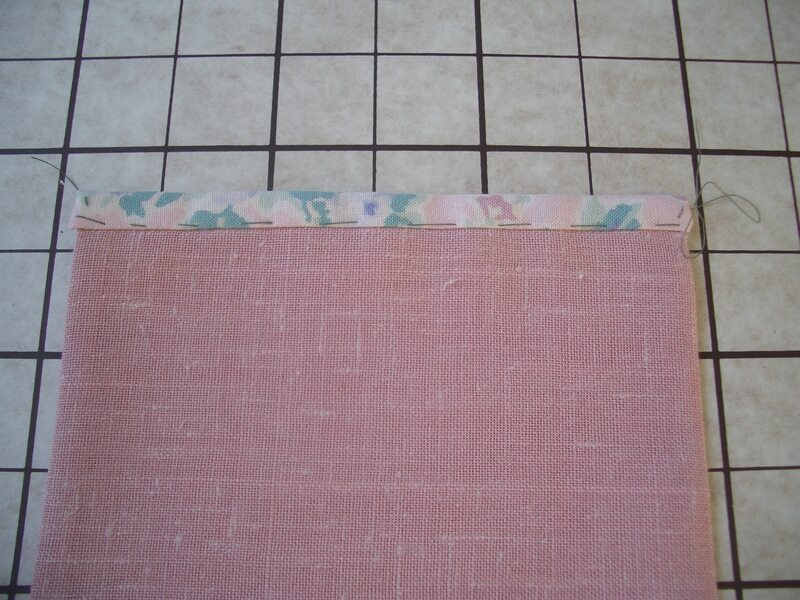 Otherwise, fold the strip in half lengthwise and press. 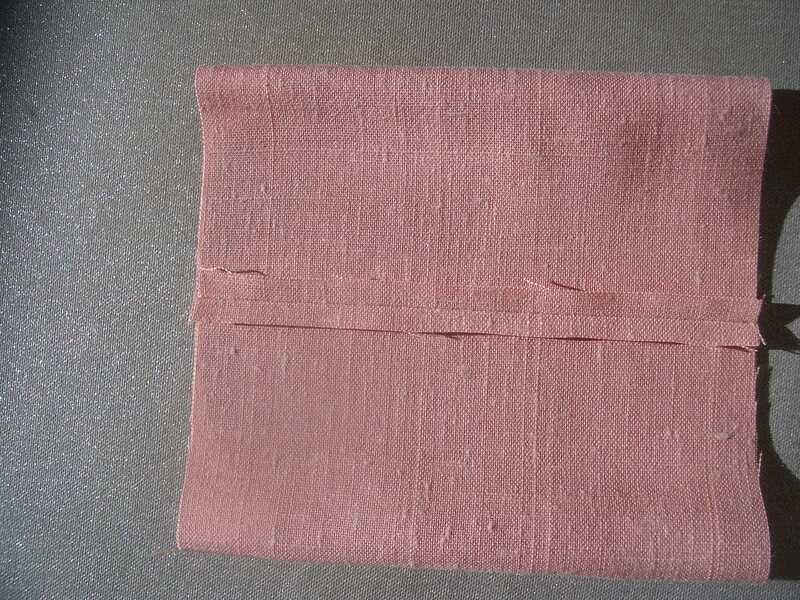 Then open it out and fold one long edge in to the centre crease, press the new fold. Repeat with the other long edge. 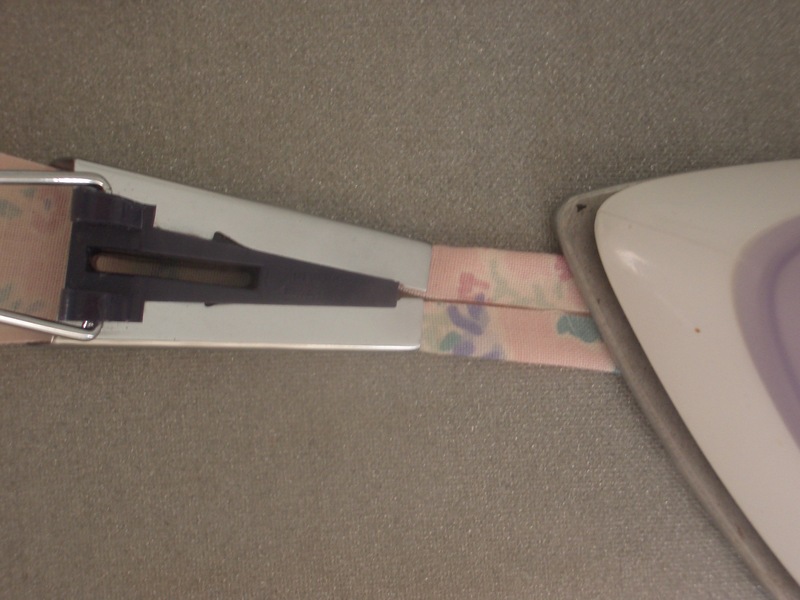 Trim a tiny amount (say 1/8″ / 2mm) off one long edge, then cut the binding into two 6.5″ (16.5cm) lengths. 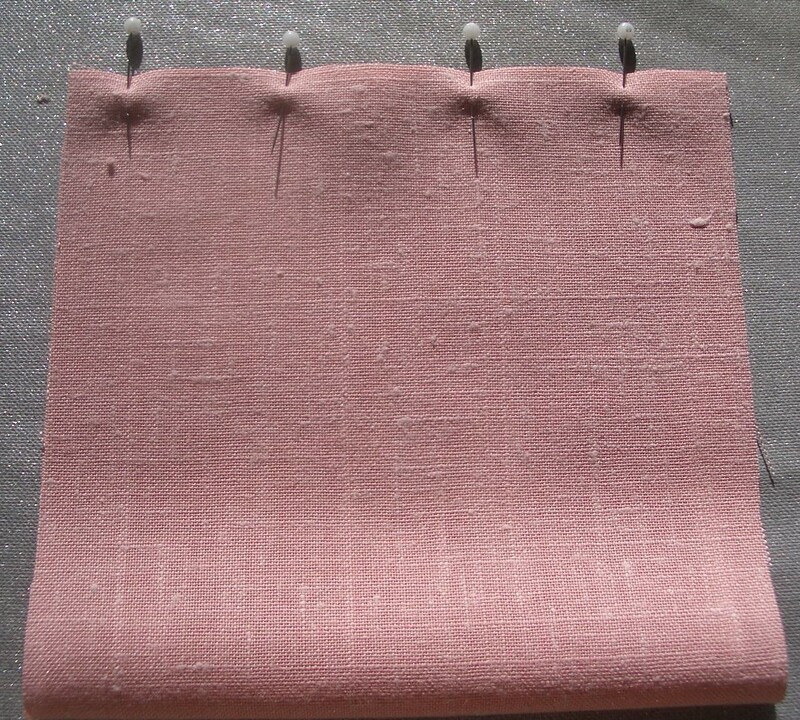 Apply the binding strip to each stitched end, right sides together with the trimmed long edge of the binding level with the raw edges of the fabric. 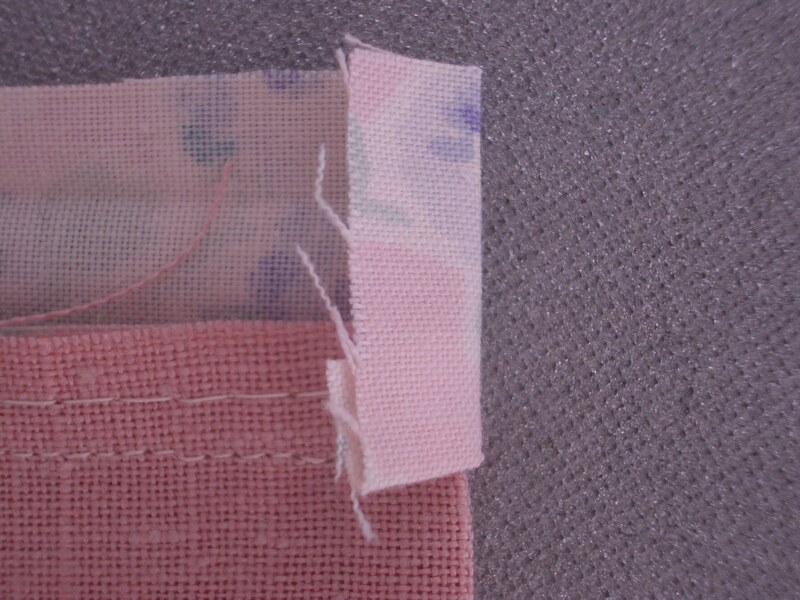 The ends of the binding will project beyond the rectangle of fabric. Sew along the foldline or just inside it. 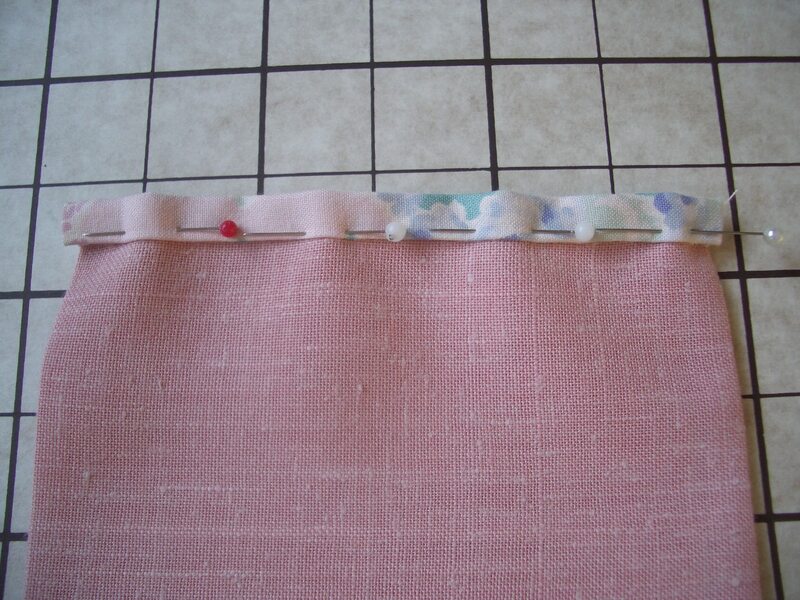 Press the seam on the right side then turn in the ends of the binding to enclose the ends of the fabric rectangle. 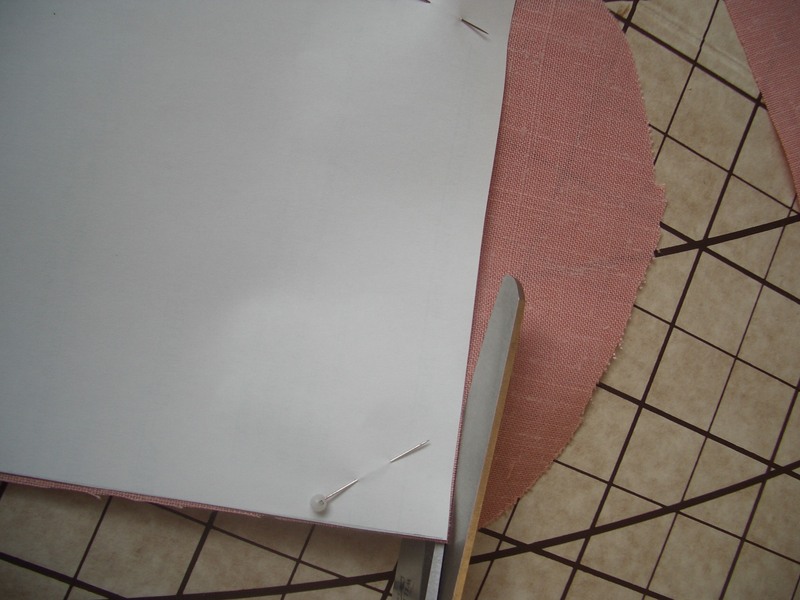 Fold the binding over to the inside, enclosing the raw edges, keeping the ends tucked in. 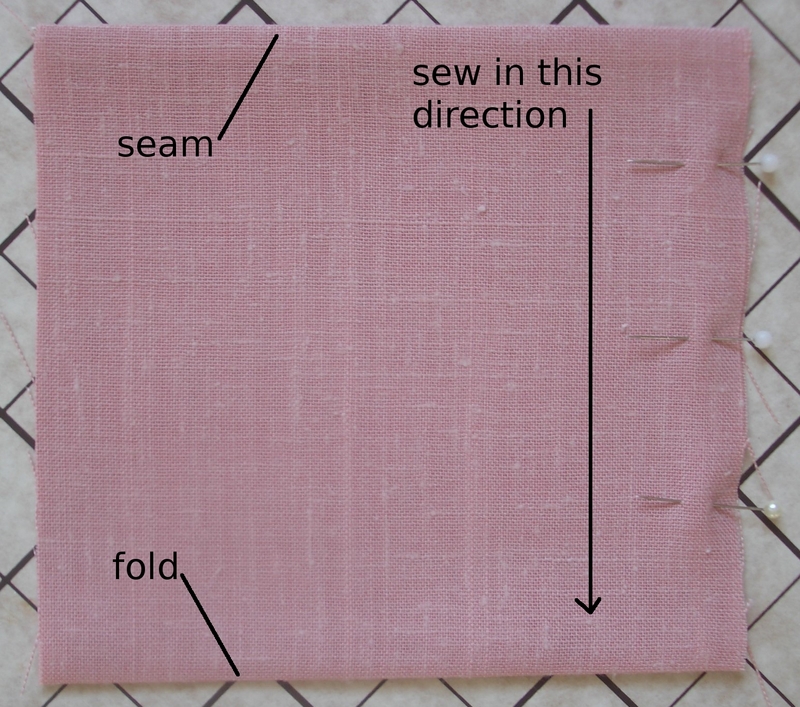 You may need to fold a corner up at each end to keep it neat – see photo below right. 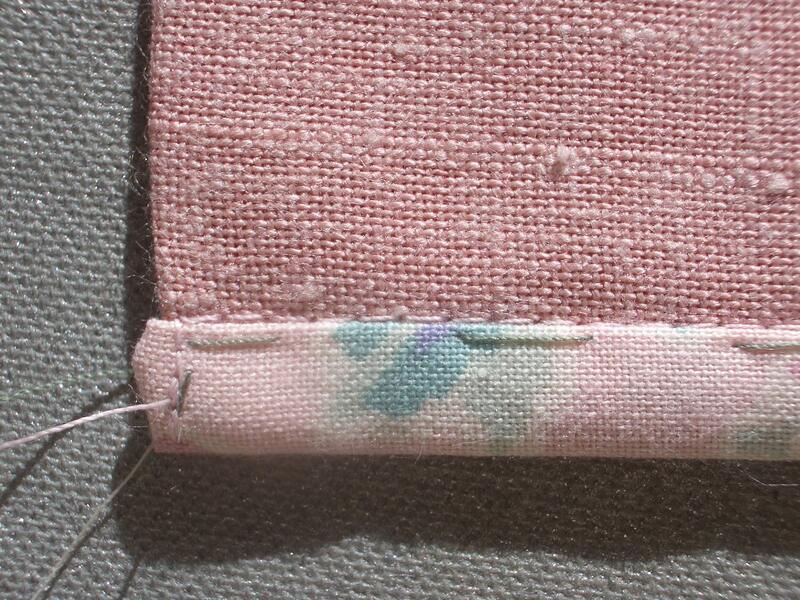 Pin and tack in place, taking care that the binding comes down far enough on the inside – it needs to go beyond the line of stitching. 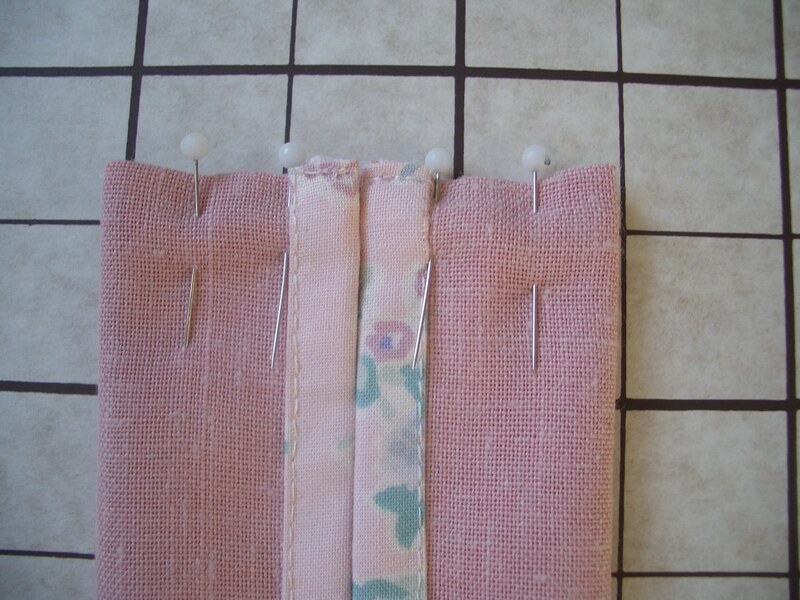 Machine on the outside side along the join between the binding and the main fabric, pivoting at each end of the binding to sew the ends down too. Press. 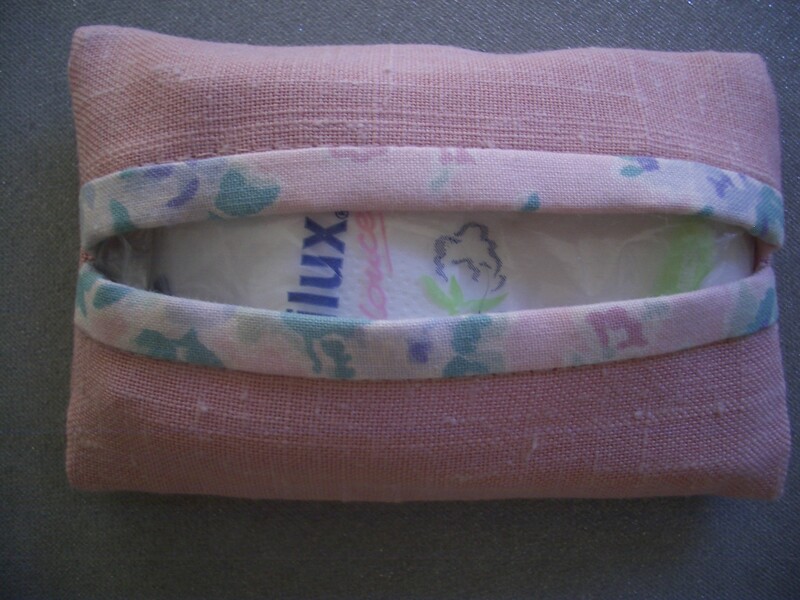 Fold the two bound edges to the centre, right sides together (ie so that the pouch is now inside out). 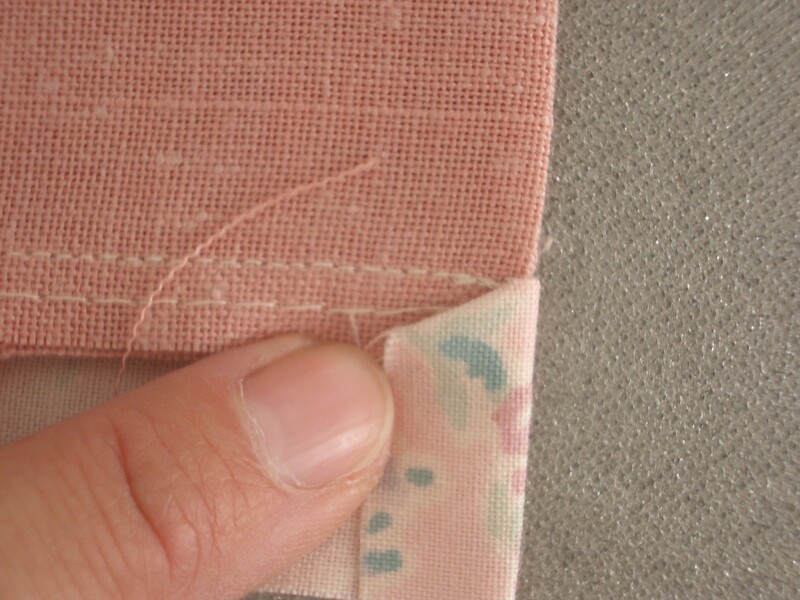 Sew across each end in a ¼” (6mm) seam. Finish off all the ends of thread, turn right side out, poke out the corners with a bluntish pointy thing (like a very large knitting needle). 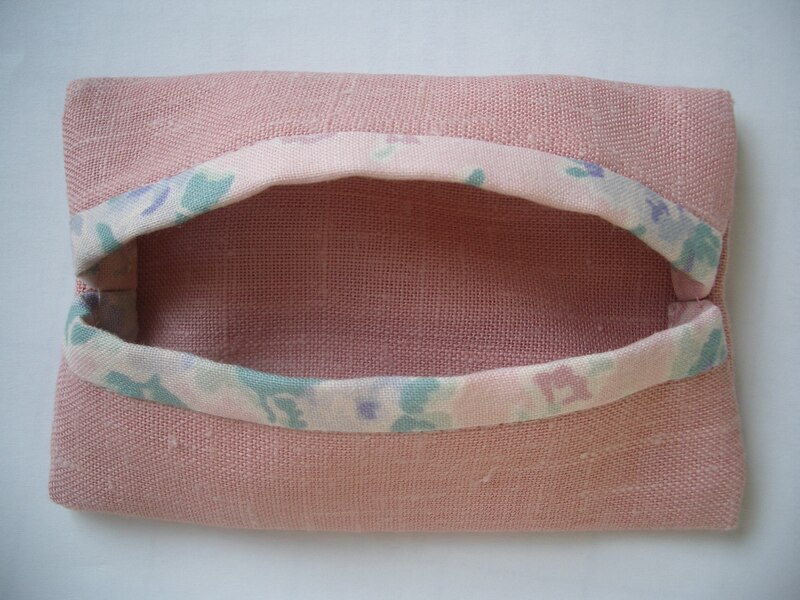 Alternatively, make the tissue holder itself from patterned fabric, but use plain binding and machine it in place with a decorative stitch after folding over the edge to the inside.